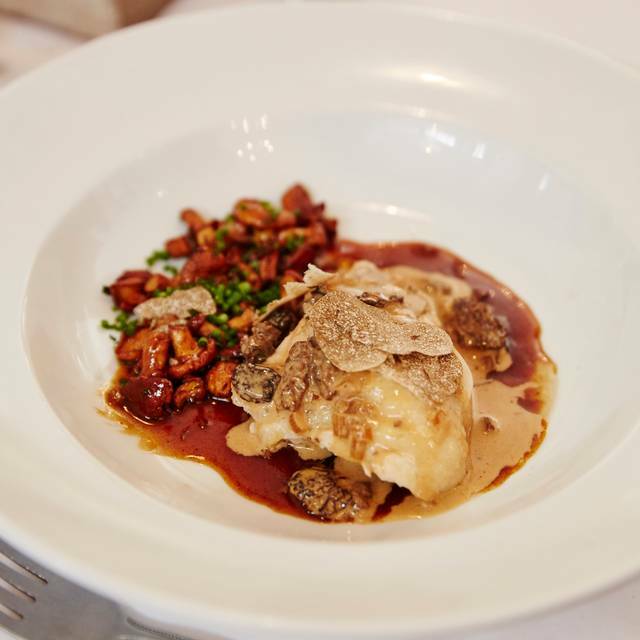 Classic French Cuisine complemented by our great value wine list. 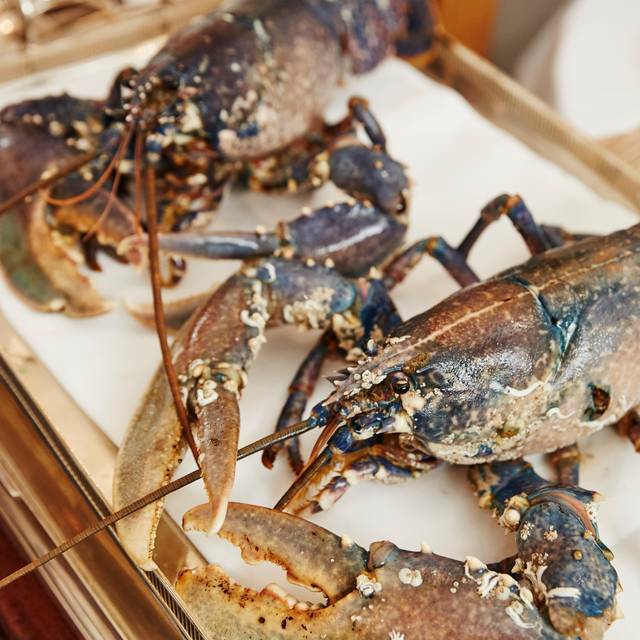 Otto's Signature dishes are Canard a la Presse, Homard a la Presse and Poularde de Bresse demi deuil. Our private room seats up to 30 people. 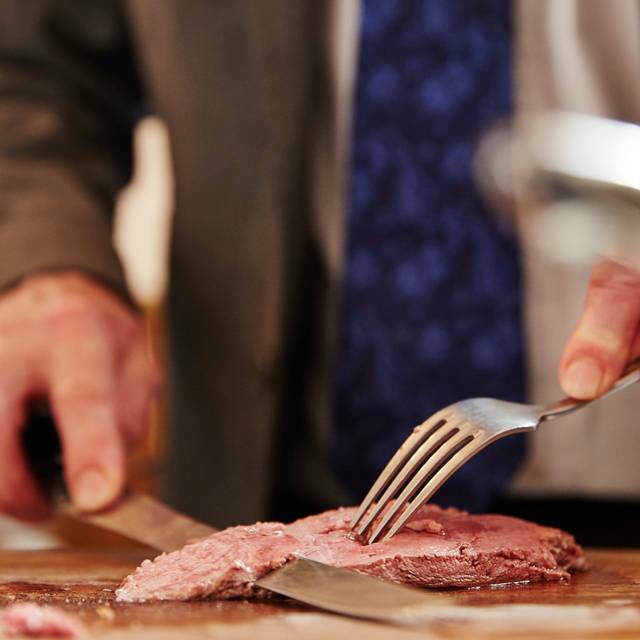 Whatever your occasion might be, we can provide the warm convivial hospitality, sumptuous food and to top it all off, our renowned wine list with fixed margins. 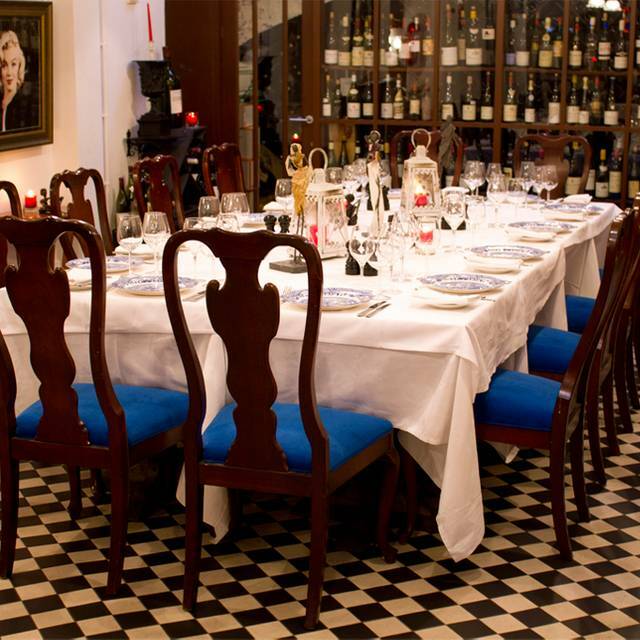 This makes Otto's Private Room the perfect choice for great value entertaining. Otto’s is a welcome anachronism in London. Quiet environment, lovely unobtrusive staff, great food and especially good wine list. Lunch is a bargain. Otto's is a great old fashioned eating place. White table clothes and great service the backdrop to excellent modern interpretation of Classic French dishes. Simply the best restaurant I’ve ever been to! Such beautiful surroundings, amazing food and wine, perfect ambience and super staff! I cannot wait to plan my next visit there. Thank you for a fantastic evening g! I eat fairly often at Otto's, sometimes alone, regularly with my partner and occasionally with clients for lunch. My last visit was a business lunch with colleagues and clients for 6, everyone of us had a fabulous meal, the service was impeccable, the menu seasonal and interesting and the quality of the cooking was excellent. an awesome place - always a pleasure to be there for business or private diner ! If your looking for loud and buzzy then go elsewhere, this is a place where you can actually have a conversation over good food with a great wine list. Otto was fantastic. We were served fantastic food. Everything was delicious. The wine list was perfect and the desserts were the best in London. Would definitely return. We didn't order à la carte (which looked great), but reserved ahead for the unique Otto's experience - duck à la presse. Served by Otto himself, the duck was prepared at the table with a clear explanation of what was happening. You do NOT need a separate starter with this dish! Liver on brioche to start was delicious, perfectly sized, and accompanied by chilled Sauternes dessert wine. The star of the show was the thinly sliced breast with the special sauce, which was sublime, the sauce having attained a rich, almost chocolatey flavour and a perfect clinging consistency that lightly enveloped the meat. The pommes soufflées with the breast were amazing - light and crisp and puffy and just salted enough. The leg meat was also delicious (although not as special as the breast) and we just had room for a dessert - grand marnier soufflé with raspberries was heavenly and the quince tarte tatin was pretty good too. The wine list is not the cheapest, but overall we had the most fantastic evening. Another excellent meal on Valentines Day. No fancy Valentines gimmicks just great food, great wine and an all round lovely experience. Great food and wine as usual with excellent service. The approach is traditional but a delight. My second time at Otto’s, and it was just as good. 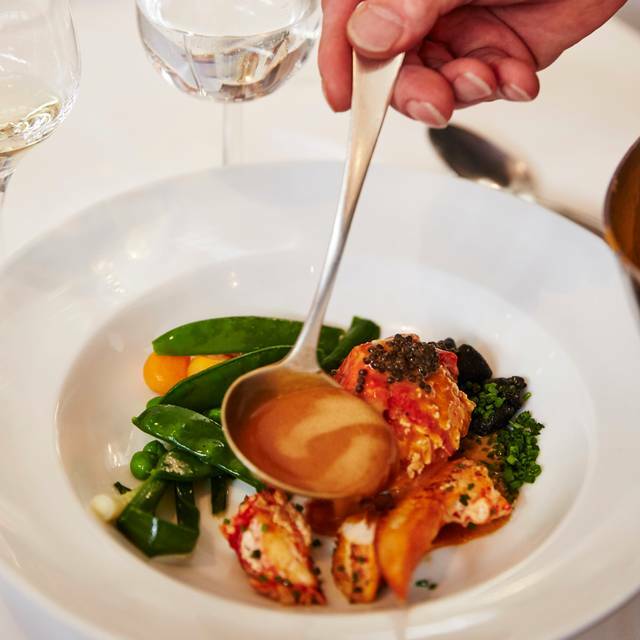 The quality of the food, the cosy and classy surroundings and the unpretentious and professional service... it’s my favourite French restaurant in London. Best wishes on the World Restaurants awards! The canard a la presse was amazing!! The chef preparing in front of the diners and was engaging and fun. Lovely! If you’re into great French cuisine that’s the place to go. Very good wine list definitely not overpriced. Very attentive service though always respecting privacy. Bear in mind - this is not a modern uberchic glamorous place but rather a traditional restaurant...nothing wrong with that in my opinion. Champagne cocktail, sweetbreads, tartare, soufflé all excellent. Oh...and did I mention the wine list.... !!! Wonderful experience at Otto's. Food, wine and service was indisputably impeccable. Very enjoyable evening and very attentive, very professional staff. Food was top quality and exactly correct portions. The Pressed Duck is quite the experience, if you love duck in all its forms. The presentation is wonderful, and everything perfectly prepared. Otto and staff are very professional yet on-hand and friendly with kids (older). This could be grossly unfair, just giving them 3*. What they did they did very, very well. It's just 4 of the 5 of us didn't love what they did! 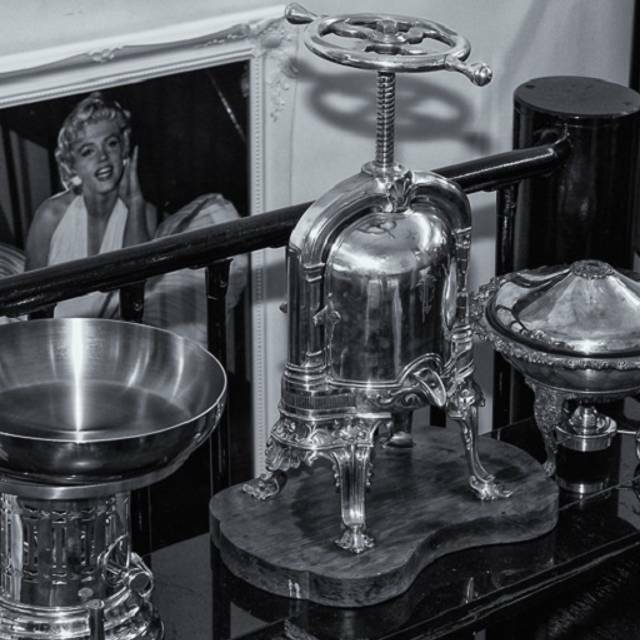 If you want to dine like you're at Maison Escoffier in 1930s Paris, then this is for you. Problem is that my tastes have evolved and I like more modern, lighter cuisine. As I said - if this is what you're after, then it gets a banging 5*. Prices are reasonable and the wine list moderately priced for the quality of its offerings; great selection too. Every dish was faultless - although I found the tartare to be a little bland and fatty. The pig's trotter was up to Mr Koffman himself and my wife's lamb rack the stand out dish. 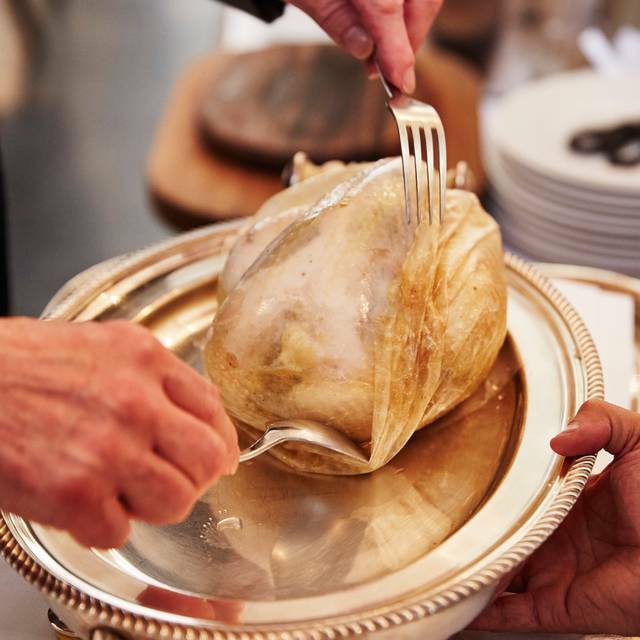 Service was sharp and precise, if a little unfriendly; once again, the culinary world has largely evolved from silver service to a more informal approach. Overall, £630 for 5 with 5 very decent bottles of wine so - not too bad. A real experience - just know what to expect. 4 of us dined. 4 different main courses all perfect. Didn’t have the duck speciality but enjoyed the theatre of other diners trying it. Will definitely be back to try the canard a la press. A splendid place to celebrate my husband's big birthday. All staff are genuinely interested in the food and in giving guests a wonderful dining experience. Lovely French ambience. Excellent food, great service and a comfortable dining room all add up to a 5 star experience. Excellent French food and outstanding service. Great wine list, as well. A bad start for Otto's when we arrived to find that they had given our table to someone else and we were left to stand for several minutes while they hastily laid a table in their basement bar area, away from all other diners. Certainly not the way to impress, although the owner Otto, did come and admit a mistake had been made and apologised. He also tried to make amends with a nice bottle of wine on the house. We were moved to a table in the main part of the restaurant and the food was excellent. We would visit again although hope their mistake would not be repeated. I keep coming back to this restaurant - indeed, it has become a favourite because it feels relaxed, but also a real treat. We had the pleasure of being greeted by Otto, who is charming and knowledgeable. The food (and wine) were superb - I had the lobster bisque and the pigeon salad, my friend had the snails and the 'cassoulet'. We followed these deliciously rich flavours with a perfect tarte tatin. The room is wonderful: with a high ceiling, crisp white table cloths and red banquettes (which do an excellent job at absorbing noise) - the sprinkle of photographs, plaster casts and cushions add a subtle wit. Part of the joy is the theatre of watching the waiters press duck, prepare steak tartare and slice salmon table-side. The service was attentive, but not fast - this was also a pleasure. As always Otto's never disappoints. Food was excellent and a good selection of across the board priced wines. Very memorable dining experience with warm, convivial service that feels unexpected and totally out of place in London. Starters and desserts were the highlights but everything ranged from very good to superb. Excellent wine list. The atmosphere leaves you with something special. I'll be back. 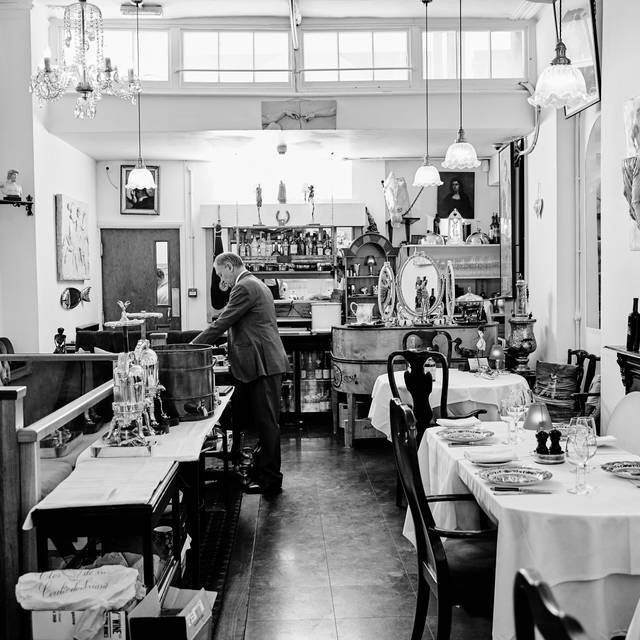 Otto's is one of our favorite restaurants in London. We go each year when we are there. Otto and his entire staff are extremely helpful and friendly. Food is SO DELICIOUS. I love the escargot and my husband always gets the smoked salmon plate for appys. We try different mains each time and have never been disappointed. I had the fish with lobster risotto and DH had lamb. We both thoroughly enjoyed our meal. We had the raspberry puffed pastry for dessert. Family dinner. Food was great. Is a classic environment as expected and did not disappoint. Food was very good. Unfortunately did not know pressed duck had to be booked several days in advance nevertheless we were all happy with our choices. Highlights probably were the quail eggs starter, salmon Wellington and the creme brulee. Steak Tartare was very good as well. Given the place and quality of the food, pricing was appropriate. Quiet understated excellence. Always pleasure. Perfect for conversation over dinner. Once again we had an extremely enjoyable meal at Otto's. The food is superb. The staff are friendly and knowledgeable. Service is not hurried, but timely. 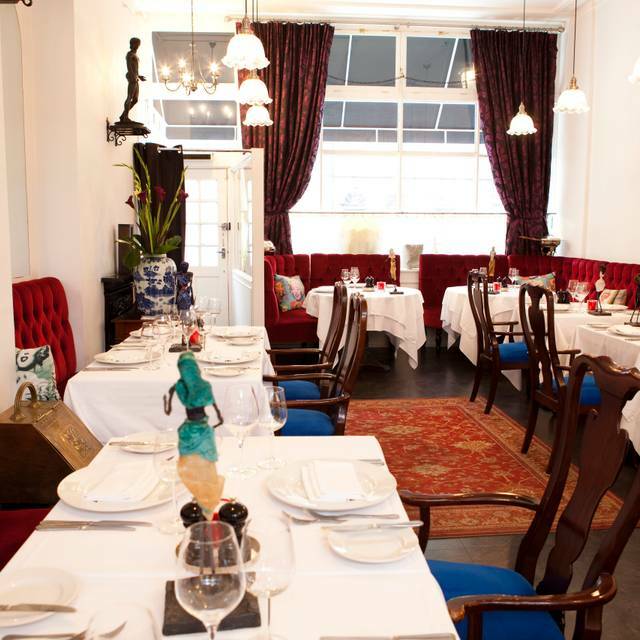 The ambience is pleasantly relaxing - the restaurant could well be in Paris, not in Grays Inn Road! Great food and excellent service. Soufflé outstanding. Always try and book for Otto's when visiting London. A delightful restaurant of the highest standard. My wife had a mushroom vol au vent followed by a stone(?) bass and I had prawn ceviche and tournedos of beef. We shared a bottle and one additional glass of house wine. No dessert or coffee. The food was perfectly fine and my beef was very tender and flavourful. The service was on the mark. But £195 - really? Really nice. Good service. Lovely old fashioned restaurant. Otto's is a fantastic restaurant offering amazing service, food and wine. It has charm and elegance and is classically French. Don't expect glitz and glamour, this is understated and appropriate classic dining, without the pretence of so many other restaurants. Staff are passionate and knowledgeable about their food and sourcing. Otto's is a place to spend time with friends and take time to enjoy food. It couldn't be better. Not very cheap but good quality food in Nice atmosphere.